This January, the Foundation Center is offering free shipping on our Foundations Today series. Expand your knowledge about foundation philanthropy with this unique collection of facts and figures on private and community foundations and their giving. Order individual copies listed below or save when you order the entire set. You'll receive each report as it becomes available. 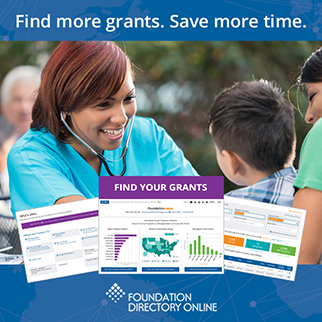 Examines 2008 grantmaking patterns of a sample of more than 1,000 larger U.S. foundations, and compares current giving priorities with trends since 1980. June 2010 / 104 pgs. Provides a first look at estimates of foundation giving for 2009 and final statistics on actual giving and assets for 2008. It also presents new top 100 foundation lists. April 2010 / 13 pgs. Documents the growth in number, giving, and assets of all active U.S. foundations from 1977 through 2008. November 2010 / 56 pgs.